Stepmom Introspection: Are YOU a High-Conflict Stepmom? 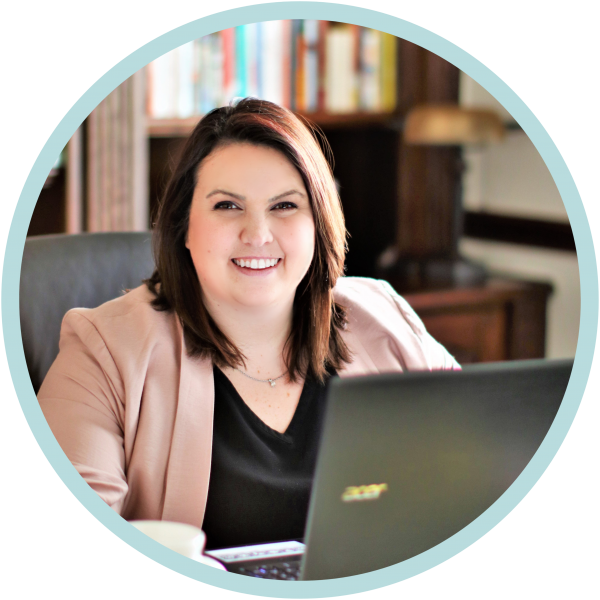 You are here: Home / Co-Parenting / Are YOU a High-Conflict Stepmom? Are YOU a High-Conflict Stepmom? Being a stepmom is a tough gig. It involves a ton of work for virtually no credit. If you’re lucky, your husband will provide the occasional affirmation, but even that cannot be expected as a stepmom. Sometimes, it feels like you are all alone. If you have biological kids, society at least will consider you a mom… but they certainly do not consider you a mom to your stepchildren. You can contribute to the office water cooler parenting conversations, but any mention of your stepchildren is met with a cold shoulder. You may have a good relationship with your stepchildren’s mother, but you may also have a terrible relationship with your child’s stepmom. It can be really, really complicated. If you are a childless stepmom, you sometimes feel like a total fraud in the parenting department. Your friends only want to hear gossip about the biological mom, your in-laws think you’re a babysitter, and your colleagues don’t even attempt to swap parenting stories with you. You don’t even come up as a blip on anyone’s radar as a parent. Totally unimportant things can make you feel so insignificant. You see those trendy “Mama Bear” t-shirts and dream of the day someone will buy you one, but know that day will never come… at least, not before you have a biological child. On any given day, you want to feel included, appreciated, and as though your voice matters. You seek some form of control, so you find ways to be helpful. Maybe it’s by checking (and responding from) your husband’s emails from his ex. Maybe it’s by looking through his phone every day, just to be sure you’re maintaining an open and honest relationship. Maybe it’s by deciding you will be the person communicating with your stepchildren’s mother, just because she and your husband argue too much. Whatever it is, you’re being incredibly helpful… the ship could not sail without you! In conversations with your friends, family, and colleagues, you intentionally bring up the great things you do to care for your stepchildren. You are all-in, and you want everyone to know it. Whether or not you have biological kids, you want everyone to know that you are a blended family master, and that the trials and tribulations of stepparenting do not phase you. As the conversations continue to flow, you mention the biological mom… then you mention an area she lacks in, which you make up for… then maybe, you start to realize you are a better parent than her… then those words come out of your mouth! And from that point forward, it’s a slippery slope to being a High-Conflict Stepmom. You’ve involved in stepmom communities, riddled with conversations about High-Conflict Bio-Mom’s (HCBMs). You know what a Mom can do to get under your skin. It eats you alive some days. But think about it… are you high-conflict as well? How could this be?! 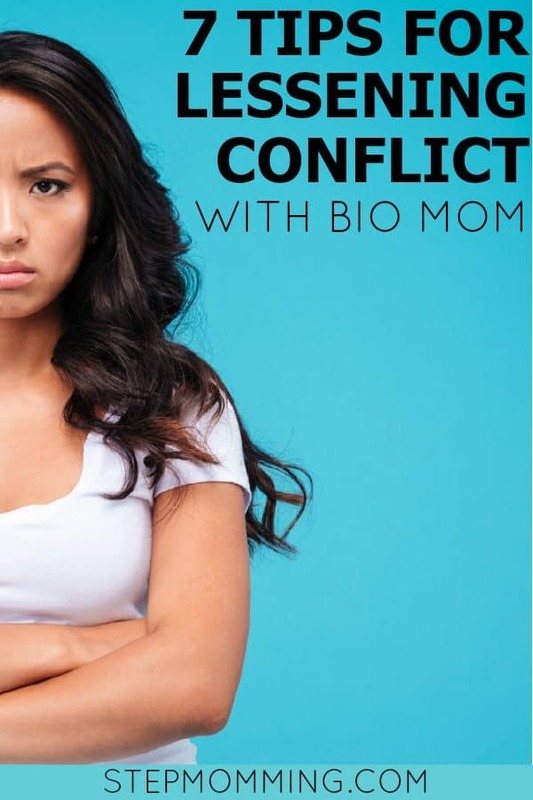 Are you quick to assume your stepkid’s Bio-Mom (BM) is High-Conflict, just because she challenges an opinion or decision of your husband’s? Do you read every email/text between BM and your husband? Are you helping him craft every response? Are you responding on his behalf? Have you put rules in place about how often, or by what means, your husband is allowed to communicate with BM? Do you think you’re a better parent than BM? More importantly, do you tell people that? Do you badmouth BM in public? To colleagues? In-laws? In front of the kids? NOTE: Badmouthing doesn’t have to be vulgar… it is any form of talking down or speaking negatively about her. Is everything BM’s fault? Do you think that your life would be “perfect” if BM wasn’t in the picture? Do you demand to attend all exchanges, school functions, or sporting events if BM is going to be there? Even if you know it could cause extreme conflict? But, just because you want your presence known? If your answer to any- or all- of these questions was YES, then you may be a High-Conflict Stepmom. If you’re startled by your findings in this self-reflection, here are my best tips for successfully morphing into a Low-Conflict Stepmom. NOTE: Low-Conflict because hey, no one is perfect! Trust your husband. Although you are trying to be helpful, and truly think you are more capable of crafting a good response with the most thorough and accurate information, your husband really needs to be the one speaking for himself. Let him manage his own emails and texts. His brilliance may surprise you! Let your husband respond to BM on his own time, whenever he wants. It shouldn’t matter how often they speak about the kids. If the conversation is known for derailing, have your husband set boundaries with BM about the nature and frequency of their conversations. You may take better care of the kids than their biological mom, but that does not mean she is a bad parent. Some people have higher standards of timeliness, cleanliness, and routine. If you are in-fact a better parent, bask in that glory between yourself and your husband, and don’t involve others. The kids will learn who does what for them over time, and appreciate all you have done. Pick your one safe person to vent to about BM, then let it go. Your person doesn’t need to be your husband. In-fact, he would probably appreciate the break from hearing about his ex. We are human, and venting can be therapeutic, but doing so responsibly will make all the difference in the eyes of others, especially your stepchildren. Let go of the small parenting differences. Let go of her texting your husband too many times for your liking. Just let it go. You think about- and talk about- your husband’s ex way more than he does… I guarantee it. While BM’s actions could be adding stress to your marriage, your nit-picking and excessive venting is certainly not helping, either. Let it go, and you’ll be surprised how much falls into place. If co-parenting isn’t in your family vocabulary yet, if you’re in a stressful time with an upcoming custody modification, or if your husband and BM just had an argument over who’s paying for an extracurricular, maybe you should stay home for some things. It is not defeat if you staying home that one time will make the event less stressful for the kids. It’s actually pretty responsible, if you ask me. It’s true- the ship could not sail without you- but you have got to find more productive ways to contribute. Talk to your husband about the role he wants you to play. Decide on the family dynamic you both want, then do what it takes to build it. Don’t focus on his ex. Focus on the kids… all of the kids! Don’t create a divide between bio- and stepchildren. Be a role model. Show your kids what a strong, hardworking woman looks like. Show them what true love looks like, and do your best every day to show them that blended families can work. With that, don’t overthink it. Don’t label it. Just wake up every day, and be the best version of yourself you can be. You are worthy. You are enough. It really is that simple. PS: Even though it’s hard to hear, sometimes we really do need to just get over ourselves and do what’s best for the kids. Thanks for the sharing such an insightful article. This is super helpful for our society and our family. You explain it nicely. We should try to become a low conflict stepmom. I will share it with others. Thank you once again. Great work.